Kids today often miss out on the simple joys in life – breathing in fresh air, marveling at birds flying overhead, laughing gleefully at jumping fish as they break through the water’s surface. Kids Health estimates that as many as one out of every three kids now faces health issues related to being overweight or obese – a scary trend indeed. The reasons for this are threefold: smart devices, fast food and lack of physical exercise. 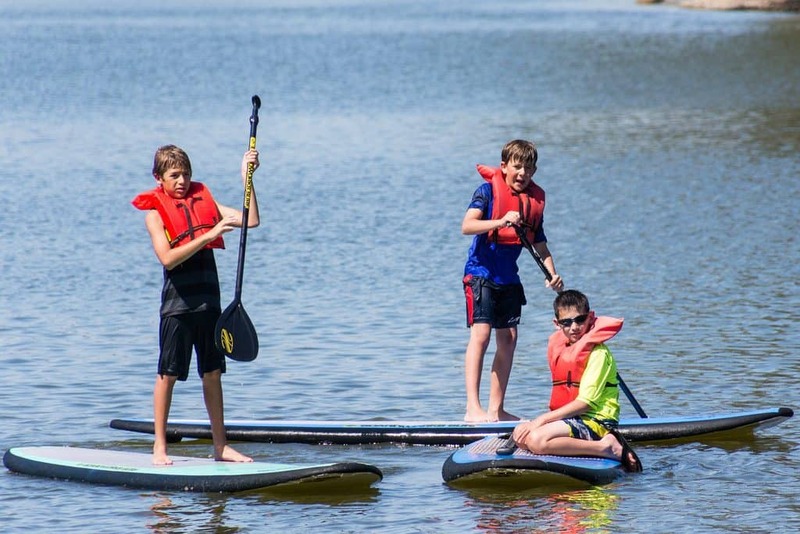 But while most kids adore playing video games and would never want to give that hobby up, they also deserve a chance to discover the joys of outdoor adventures, including stand up paddle boarding, or SUP. 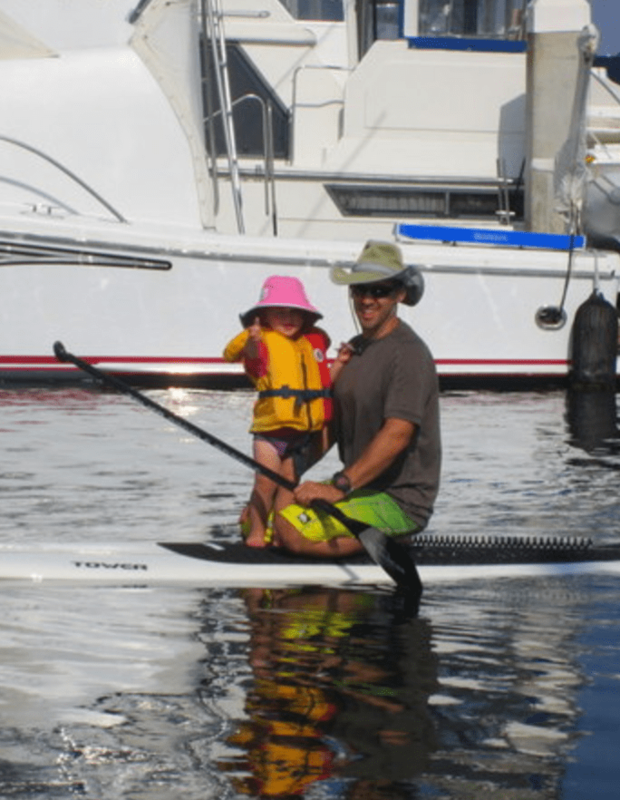 In this post, learn how to introduce your kids to SUP as a new hobby that they can enjoy throughout their lives and even teach to their own kids one day! When stand up paddle boarding was first introduced many centuries ago by early Peruvian fisherman, certainly they never could have predicted what a hit SUP would become with modern first worlders today. In fact, SUP has a rich and fascinating history that encompasses both function and fun. However, it wasn’t until the 1940’s that the modern sport really began to take shape when surfing enthusiasts started to adapt the paddling action of surfers on the hunt for a wave (called “beach board surfing”) into its own separate, stand-alone water sport. At first, early enthusiasts simply used an adapted canoe paddle to propel a traditional surfboard through the water. Later, both paddle and board were adapted for the unique needs of paddlers, who wanted maximum stability and buoyancy along with ease of maneuverability. Today, there are paddles and boards of many different weights, widths, lengths and sizes, complete with a variety of extra features to support different SUP goals from leisure paddling to lake and sea fishing to SUP racing. In some cultures, introduction to water travel begins nearly at birth, albeit out of necessity more than recreation. But this can be useful to remember when you are trying to decide what is the right age to introduce your kids to stand up paddle boarding. At age five and up, most kids are able to manage a kid-sized paddle board and paddle on their own. Below age five, your kids can enjoy SUP as a passenger and “helper” on your board (like pictured). Always be sure to use lifejackets for kids regardless of their swimming abilities. Age and weight-rated life vest. Your child should always wear a properly fitted life vest while paddle boarding – no exceptions. Polarized sun glasses with neck rope. Sun reflects very strong off the water even on overcast days. To have the best chance that your child’s sun glasses will last for multiple SUP trips, be sure to secure them with a neck rope in case they fall off. Sunscreen. Because of the water’s ability to magnify the strength of the sun, children can burn very easily without even realizing it. Be sure to use waterproof sunscreen and reapply according to the instructions. Well-fitting ankle leash. The ankle leash is considered a potential life-saver in SUP circles. 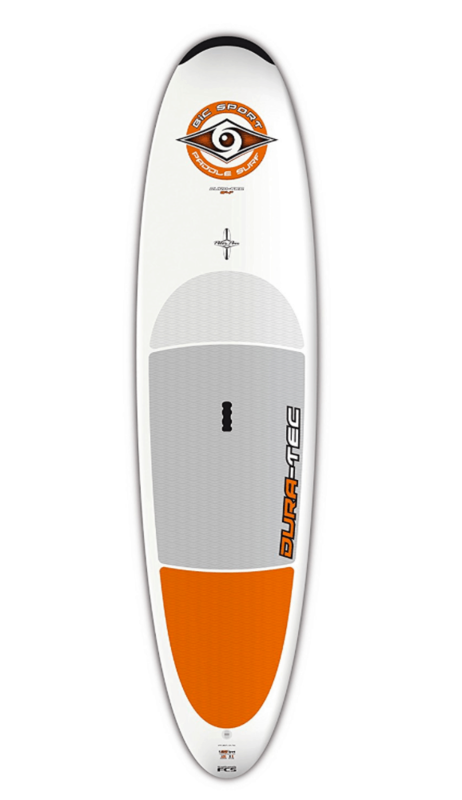 There are three styles: coiled, straight and breakaway/quick release (best for young SUP-ers). SUP-ers have perished for lack of one of these simple safety precaution accessories. You want to make sure the leash is one foot longer than the length of the SUP board itself. 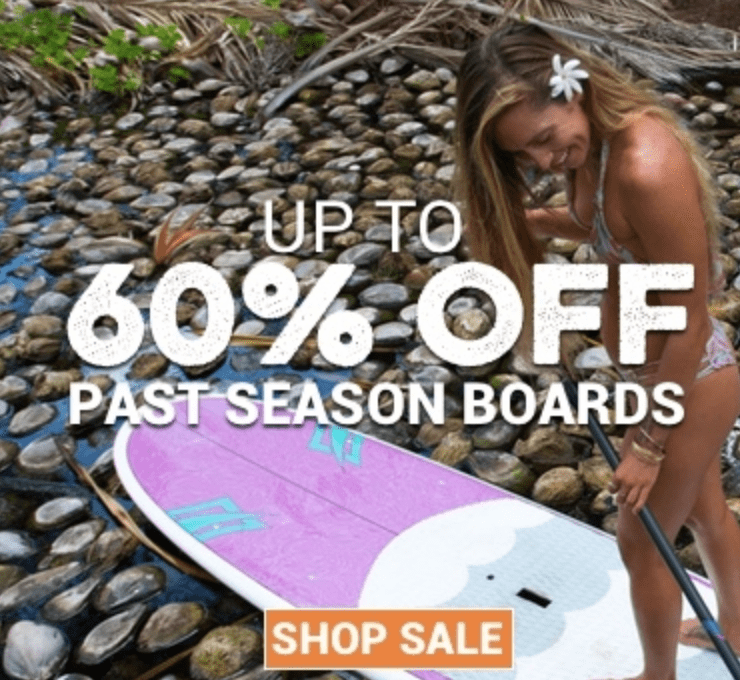 You won’t find any lack of options when browsing your choices for youth stand up paddle boards – quite the contrary, in fact! However, you want to be sure to select a board that your young SUP-er can handle well from the get-go. This will be a great confidence-booster. There are two basic types of boards for kids and adults: solid and inflatable. Solid – The solid board type tends to be more stable and more traditional-looking. However, it is also heavier to carry and a bit more challenging to store. Inflatable – The inflatable board type is definitely easier to carry (although you may want to bring along an air pump to inflate it). It can be less stable in choppy water but sure is easy to store in the off season! This board measures just 8 feet, 4 inches, making it a great starter length for kids ages 5 and up. It is a solidly-built, durable board that is often stocked by kids camps. So if your kids have already tried SUP at camp, chances are good they used this board! 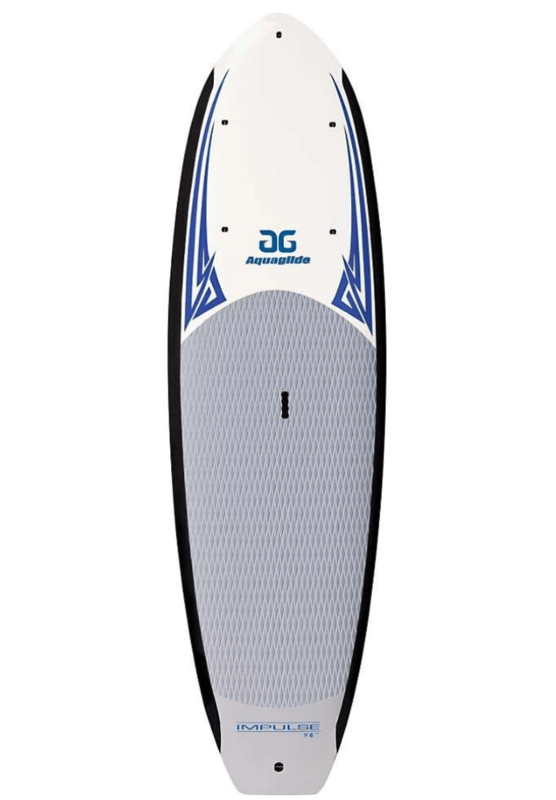 This board also offers a great all-purpose ride on different types of water (calm, choppy). Its polyurethane/foam construction makes it a lighter board to carry as well. This is a great board for staters due to it’s extreme durability. With a little practice and confidence under their belt, your kids may be ready to graduate to this 9’2″ inflatable board that will accommodate them from 50-120 lbs. With a narrow width of just 29 inches, the board is easier for shorter arms to carry and also slightly lighter in weight. This graduated board is made in 8-foot, 10.6 foot and 11.6 foot versions. All three sizes have reinforced rails (edges) for extra stability and come with a paddle and a single fin. At 33 inches, the width makes for extra stability in any water conditions. 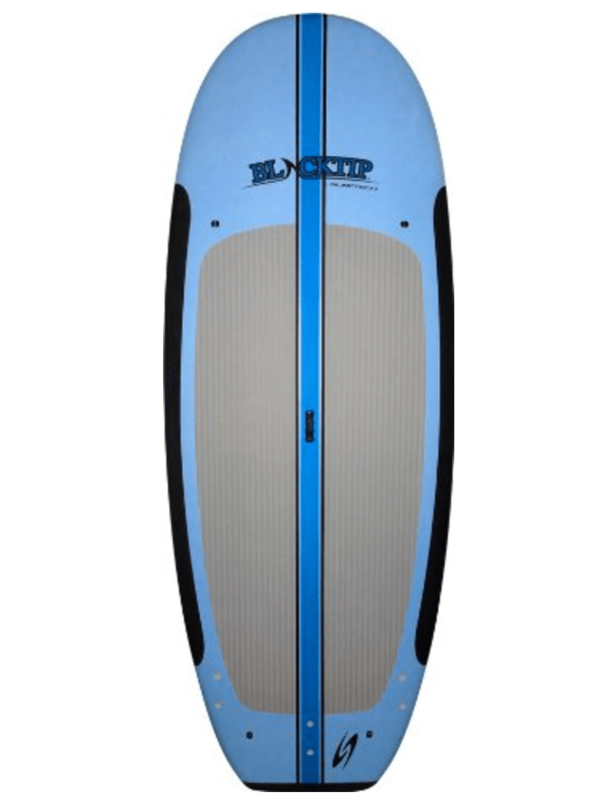 Since this board will be equally suitable for a total beginner and an experienced young SUP-er, you could even buy your whole family a set of boards sized appropriate for their ages. At 9 feet, 6 inches, this board’s length is approaching a suitable length for teens and adults. If you have teens, you could use this board interchangeably as a budget-friendly yet durable and fun board for the whole family. The width is 30 inches, which gives it a nice balance of speed and stability. The single stabilizing fin and planing hull (a front that sits just above the water’s surface like a regular surfboard) will ensure it performs to standard in any water conditions. Finally, this colorful green and white inflatable board has some attractive extras, such as a tie-down section and the ability to pack it up into a backpack (literally) for transport. 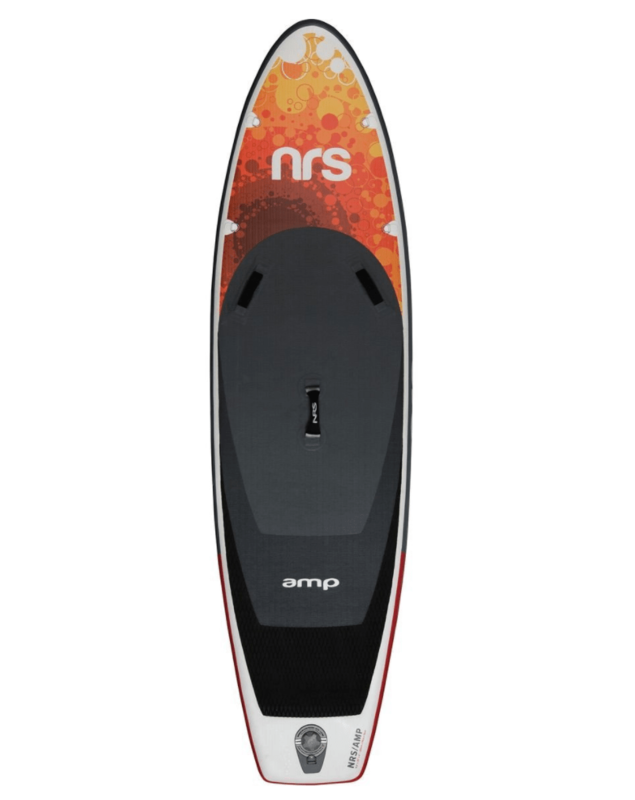 It will work well for SUP-ers 125 lbs. or less. Finding a quality board for a youth can be difficult at times. We hope this blog helps you find what you are looking for and gives you some good references. 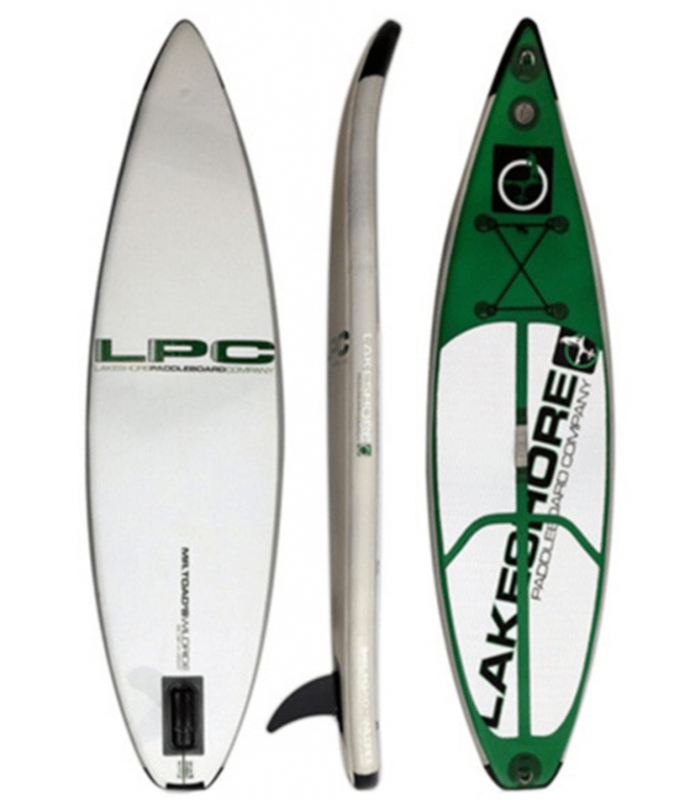 Previous Post: « What Is The Cost Of Stand Up Paddle Boards?